When I first saw Makthaverskan’s name—and the jagged font that accompanied it—I had to assume it was a Scandinavian metal band, most likely of the black metal variety. After mentally preparing myself for a blast, I clicked play on the group’s Bandcamp page, but what came out was jarring for just how much the band defied my expectations. Instead of blaring aggression, the Swedish band sounds as if its chief influence is one of The Cure’s greatest hits albums. 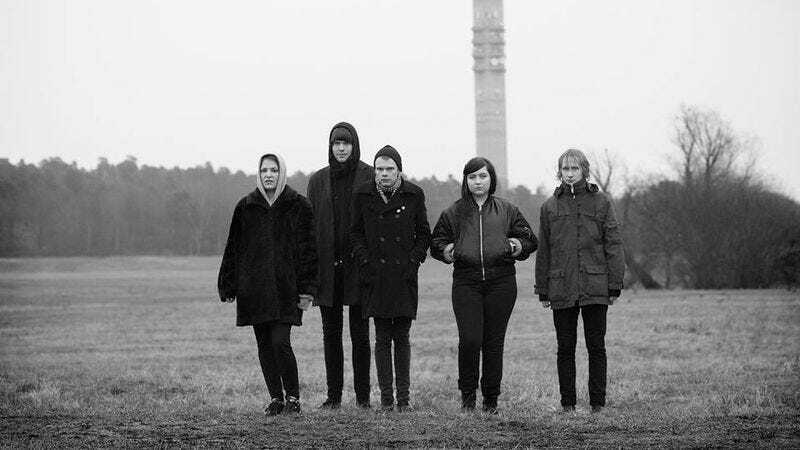 Approximating Robert Smith’s poppiest songs, Makthaverskan sounds like a band out of time, making a case for being the best ’80s pop band that never was. Though Makthaverskan’s second album, II, was released last year, Boston’s Run For Cover Records is re-releasing it domestically, and it’s an album that, had I discovered it during original release year, would surely have landed somewhere on my ballot for Best Of Music last year. Each song drips with the sounds of ’80s pop as the album teeters between new wave and goth-like gesticulations while melding the two into gooey, poppy goodness throughout. There’s not a song on II that doesn’t showcase Makthaverskan’s powers, but the shimmering synthesizers and bouncy bass line make “Asleep” a contender for one of the album’s best. Maja Milner’s vocals are at their peak as she alternates between a coy breathiness in the verses and belting out “It’s not me you’re dreaming of” at the start of each chorus, taking it to new heights. If II had dropped in the ’80s the band would certainly have had a hit on its hands, but now it just serves as a reminder of how powerful a good pop song can be.